Sunday - Thursday: 9:00 A.M. - 5:00 P.M.
Friday and Holiday Eves: 9:00 A.M. - 4:30 P.M.
Saturday and Holidays 10:00 A.M. - 5:00 P.M.
How to get to the zoo . . .
right turn into the parking lot at the entrance to the zoo. The ownership of the zoo is shared and divided evenly among the Municipality of Jerusalem, the Jerusalem Foundation, and the Jerusalem Development Authority. The zoo's Board of Directors consists of 18 members. The establishment of the zoo in its present form was made possible thanks to the generosity of Tisch family of New York, under the auspices of the Jerusalem Foundation. The dedication ceremony took place in the presence of the President of the State of Israel at the time, the late Chaim Herzog, and members of the Tisch family, in November 1992. The Bible land Museum in Jerusalem is the only museum in the world displaying the history of the biblical period in the various lands of the Bible. The Museum is a center for cultural and educational programming. It is the only museum in the world displaying the history of the biblical period in the various lands of the Bible. In just six years the museum has produced numerous outstanding special exhibitions such as ''The Jewish Presence in Ancient Rome'' which marked the first cultural exchange between the Vatican and State of Israel following the opening of diplomatic relations. 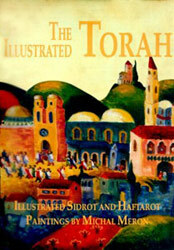 And, in 1996 the Museum presented ''Jerusalem - A Capital For All Times; Royal Cities of the Biblical World'' as the primary exhibition for the Jerusalem 3,000 celebrations, and brought record breaking crowds into the Kunsthistorisches Museum in Vienna as the first stop on its international tour.